FOR CLIMATE CONTROL FOR ROOMS AND MACHINES. 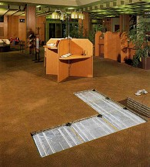 The principle of air passing through access floors lends itself to the increasingly high room climate requirements in computer centres and office buildings etc. This airing principle utilises the natural behaviour of heated air. The air that is to be dissipated is extracted by suction using the shortest possible distance to the ceiling. Even with large amounts of air, draughts are thus avoided. 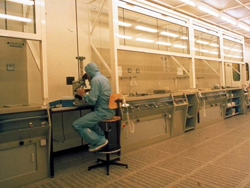 The manufacturing of components and chips of the micro electronic, the production in optical and precision mechanics industry as well as in pharmacy and bio-technology, are carried out under conditions for clean rooms. The access floor MERO type 3 clean and type 7 aluminium was developed especially for the requirements of clean room technology. So the access floor MERO type 3 clean and type 7 aluminium can be seen as optimum solution for all uses for clean rooms. The MERO type 3 is due to its tensile strength the solution for production plants, cleanrooms, computer rooms or laboratories etc. where extremely high load bearing capacities and security against fracture are required. The access floor construction type 2 has been designed in cooperation with electrical engineers and power station specialists. The construction has proved its worth in high, medium and low tension switchgears, battery rooms, control centres, emergency plants and is used in case of complicated bridging constructions as well as platform for fork-lift traffic. MERO-TSK floor systems have proved its worth for the installation of service lines for many years. From now on MERO access and hollow floor can be combined with MERO floor heating and cooling. Floor areas such as large bank lobbies, foyers and production plants can now be provided with floor heating/cooling in critical areas too. The floor types 4/anhydrite and 6/calcium sulphate have proved as high thermal conductors respectively as storage for heat and cold. 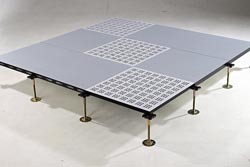 Raised Access Floors by MERO-TSK are used more and more in manufacturing halls. 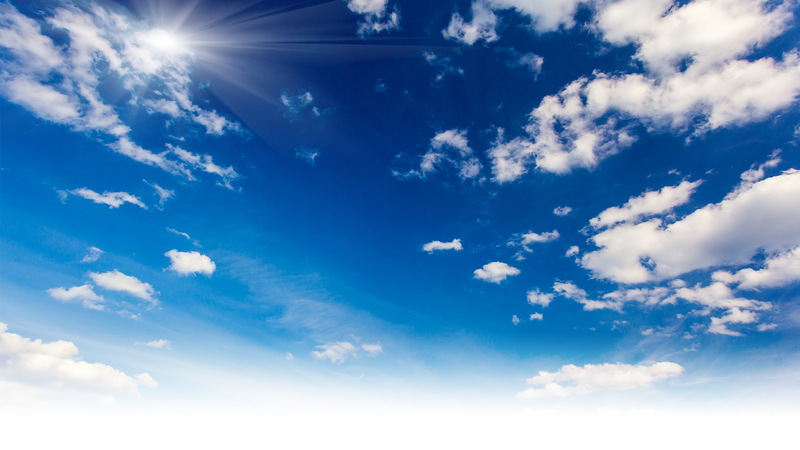 Since there is usually a high demand for HVACR in-house installations, building heights of 1.000 to 2.000 mm are not unusual. In the past few years, MERO-TSK has proven in many building projects that even top-loads that occur for examples when forklifts and lifts are used can be accommodated without a problem. The usual low access floor systems on the market are suitable for minimum construction heights allowing a maximum space utilisation. However, they have the disadvantage that the subfloor area must be exactly levelled. Furthermore, the installation of electrical supply and waste lines is difficult due to the narrow pedestal module. We also set a new standard regarding load bearing capacity. 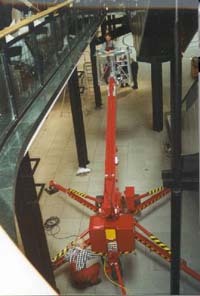 2000 N concentrated load required for office areas according to the European access floor standard are no problem. Test reports are in preparation. This floor type also has better sound and fire protection values than other systems. In order to make a pre-selection of possible MERO systems, a decision has to be made upfront between floors that contain non-combustible materials only (Building Material Classification A) and such floors that may contain combustible components (Building Material Classification B). MERO´s Type 6 flooring consists of fibre-reinforced mineral fibre panels and a high walk comfort with a very good sound absorption and it is thus an ideal access floor for first-class flooring systems in office buildings. This floor type achieves extraordinarily high results in fire resistance tests. MERO´s Type 5 flooring has proven its suitablility in office settings for several decades. Wherever there are no increased fire protection requirements, it constitutes an ideal cost-efficient solution.